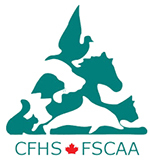 Joining an FMSPCA committee is a great way to get involved and make a difference for our organization. We are always looking for professionals who are willing to help us! The Legacy Committee is dedicated to building a stronger future for the organization through opportunities for capital projects, investment, employee matching, estate planning, stakeholder outreach and grants. Skill sets we require: accounting, business administration, finance, trade skills, construction and development, fund development, corporate investment, legal experience, stakeholder relations, community investment, safety certifications, written and oral skills and an ability to network on the organization’s behalf. This year round committee is seeking volunteers to help us to make our key fundraising events a success for the FMSPCA. Our organization hosts a variety of events throughout the year including the Annual Walk to Stop Animal Abuse, Community Yard Sale & Bike Auction as well as our Masquerade Ball. We are seeking volunteers with the following skills: time management, volunteer recruitment, sponsorship development, silent and live auction items procurement, securing donations and donated services, event experience, cash handling and transactions, raffle management, sales and promotions, safety certifications, food safe, first aid/CPR, AED, emergency management, Driver’s License and own vehicle, good written and oral skills, positive personality. Ability to volunteer for monthly meetings as well as at events.